We live in a time of great change where it is not the marketing output that is changing, but the delivery and business models underpinning the marketing of content. In a recent paper from Adjust Your Set we have shined a light on some important new trends affecting online content marketing, and through top examples we are able to demonstrate the key disparate threads that work together and form a powerful new framework for marketers. This is so Publishers, Marketers and their Agencies can finally create meaningfully connections with consumers at the same time as achieving the individual goals for all concerned. 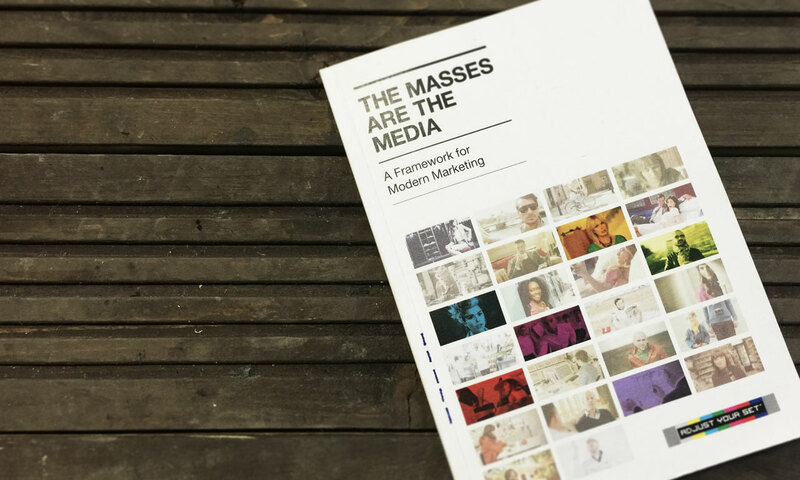 Click here to download your own copy of The Masses Are The Media.